Contemporary storage solution for the hall, bootroom, or any room. 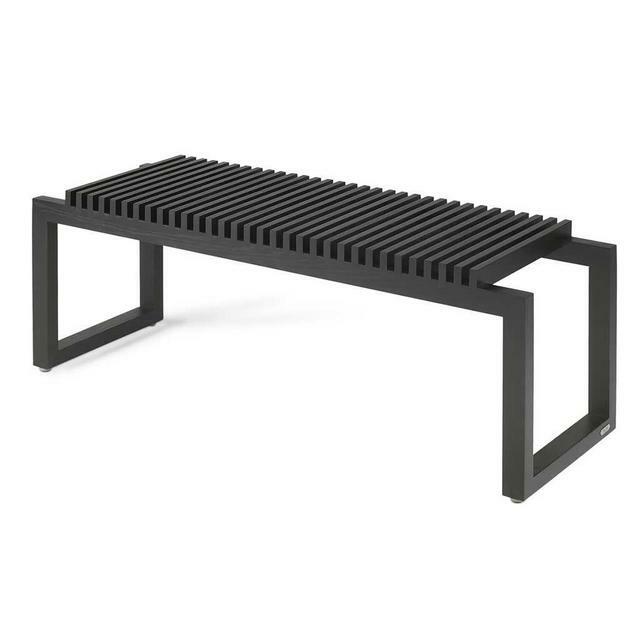 Starting with a single bench, the Cutter collection has been developed into a beautifully designed collection of storage and space saving items. 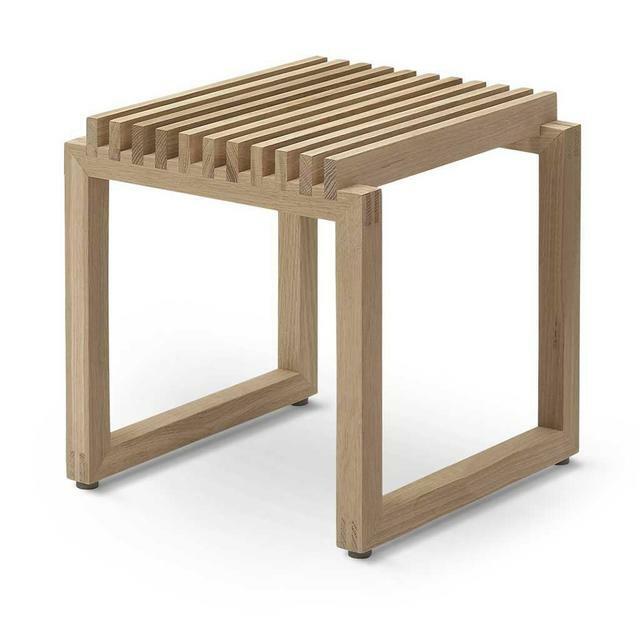 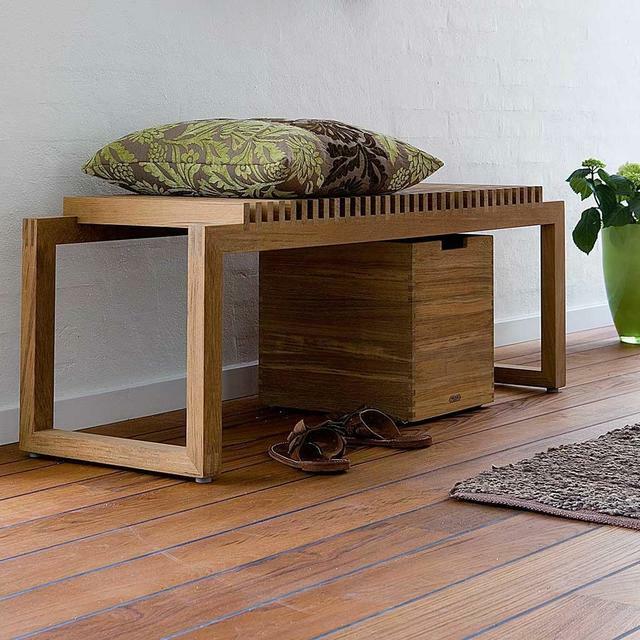 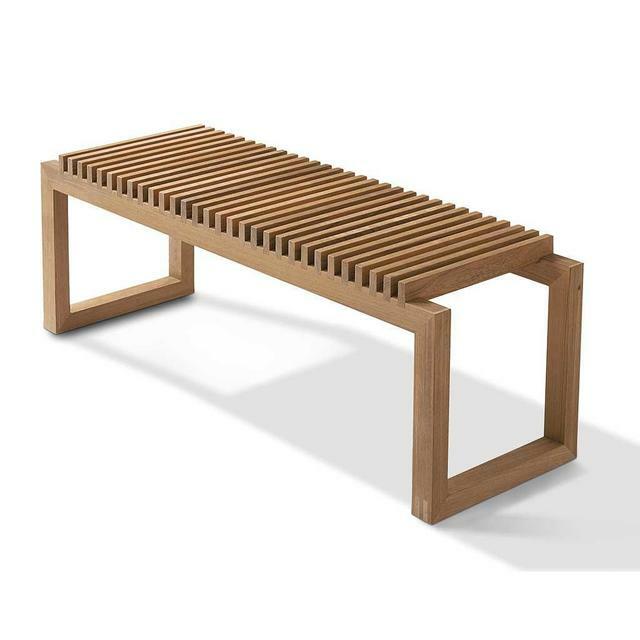 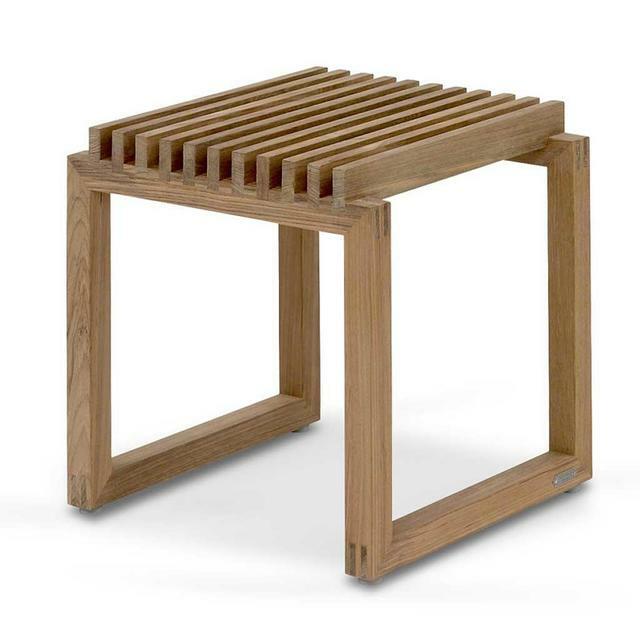 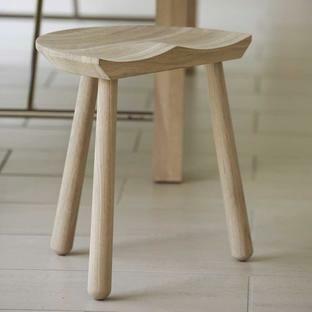 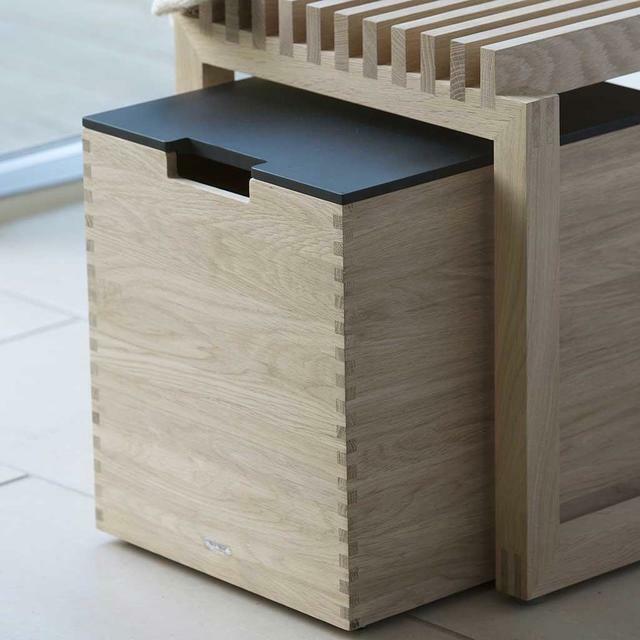 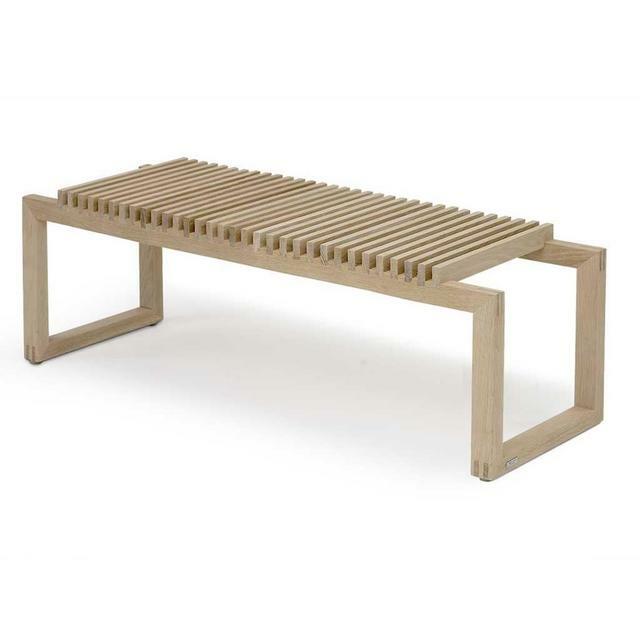 Ideal for the hall, bootroom or even bathroom - start with a bench (either the small 40cm or the large 120cm), then add storage boxes, which fit neatly under the bench, and will slide easily in and out on their integrated wheels. 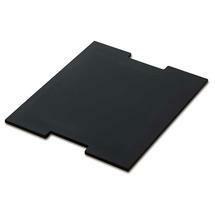 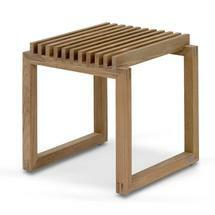 The small bench takes 1 storage box, the large 120cm bench will take up to 3, as required. They are perfect to store - hats, gloves, slippers, shoes and general paraphernalia in. 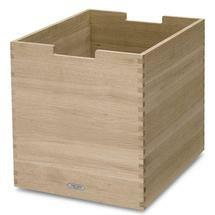 If you want to keep dust out of the boxes, lids are available separately. 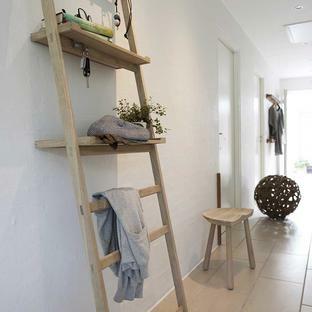 For hanging garments the Cutter wardrobe style storage shelves are both practical and stylish where space is a premium. 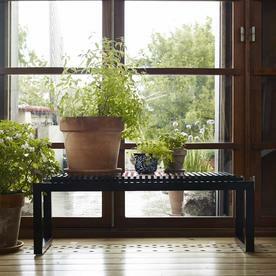 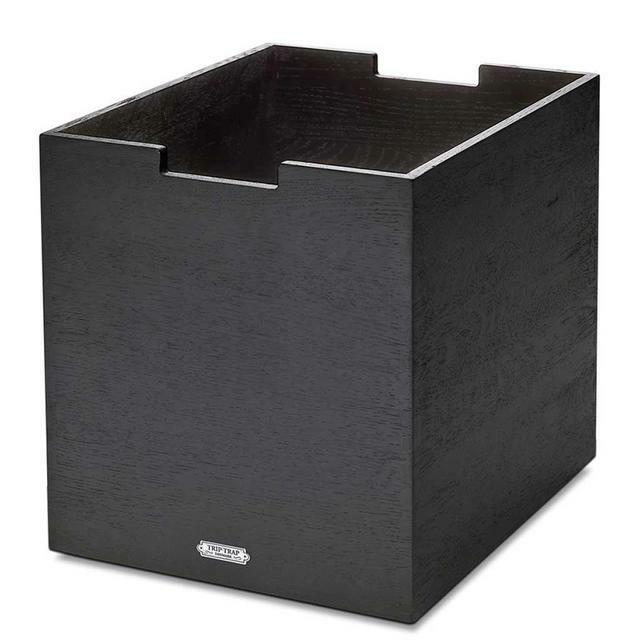 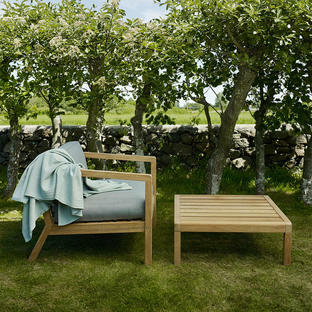 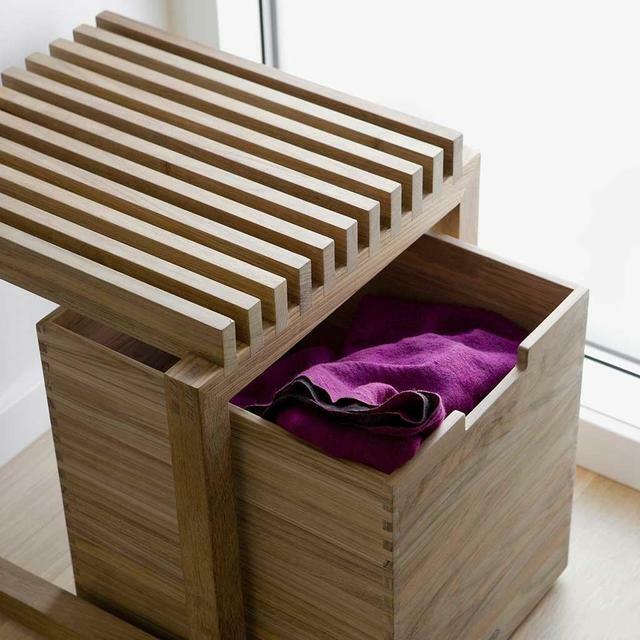 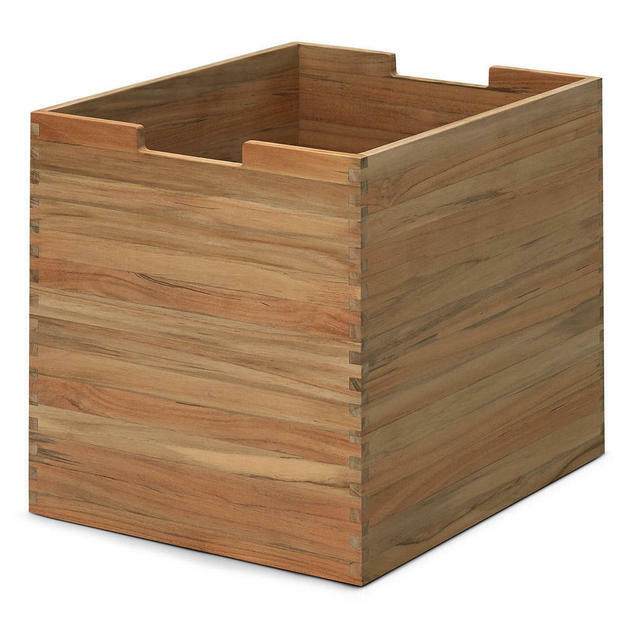 In a choice of natural teak, oak or black laquered wood, the Cutter collection gives Danish styling to storage.